1. Who Founded the Free Software Foundation? In which year? 2. Who started the Linux Kernel project? 3. Mascot of Linux Kernel? to the YouTube channel and watch the full video below. 4. 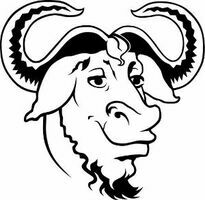 What is the expansion of GNU? 6. Which free software license are the articles on Wikipedia published under? 7. Who developed the Python programming language? 8. Which of the following is not a GNU/Linux distribution: Ubuntu, Fedora, FreeBSD, Linspire? 9. Mascot of GIMP Image Editor? 10. Free Software edition of the Chrome browser? 11. What is meant by GLAMP? 12. The GNU/Linux (or UNIX) command to create a folder? 14. How do you create a hidden file/folder in GNU/Linux? A: By adding a dot (.) at the very beginning of the filename. 15. What is meant by the pwd command? 16. Which is the 3D software used to create the Open Movies including Big Buck Bunny, Eliphants Dream and Sintel? 17: Which Free Software package had the vulnerability called Heartbleed? 18. The founder of the Debian project committed suicide in 2015. What was his name? 20. Which Wikimedia project features texts including classics?